Netflix's Black Mirror: Bandersnatch - Is It Worth The Watch? Netflix’s Black Mirror: Bandersnatch – Is It Worth The Watch? Fans of the British sci-fi anthology series called Black Mirror rejoiced upon learning that the streaming media giant Netflix produced yet another creation from the show’s creator. So in late 2018, if you saw people huddling over their smartphones, tablets, laptops and smart TVs, that’s because they wanted to be with the movie to see the movie. Confused? Don’t be. 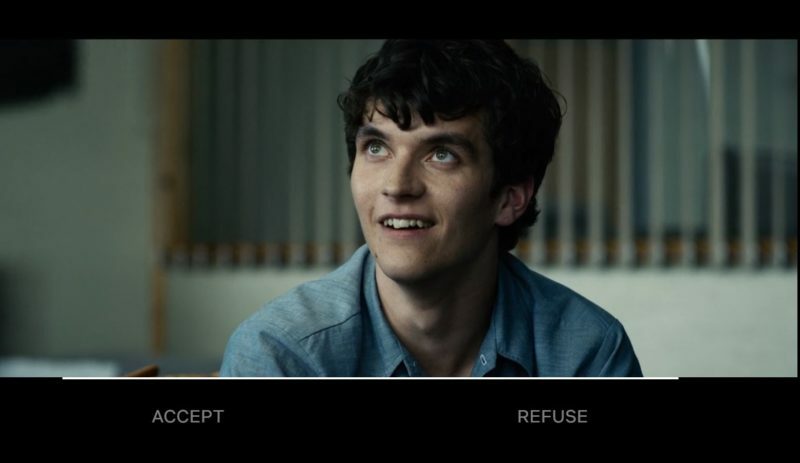 You read that right: audiences were given the chance “to be with” the movie entitled Bandersnatch – because that’s the only way to watch it. Yes, to watch it is to be in it. Or more precisely, to be “in on it.” Let us explain. Bandersnatch is a one-and-a-half-hour film that started streaming on Netflix in late 2018. Like the film’s TV show ancestor, this one revolved around how screen-featured technology affects people, usually in a dark and disturbing way. Sounds like your typical movie, right? Wrong. This time, you just don’t watch the movie while sitting down passively – you get to choose what happens to the movie by pressing on preset choices programmed by Netflix for you. The hype that came with this movie centered much on the way the movie was delivered to the audience, and how the audience could “dictate” what could actually happen through the course of the film. 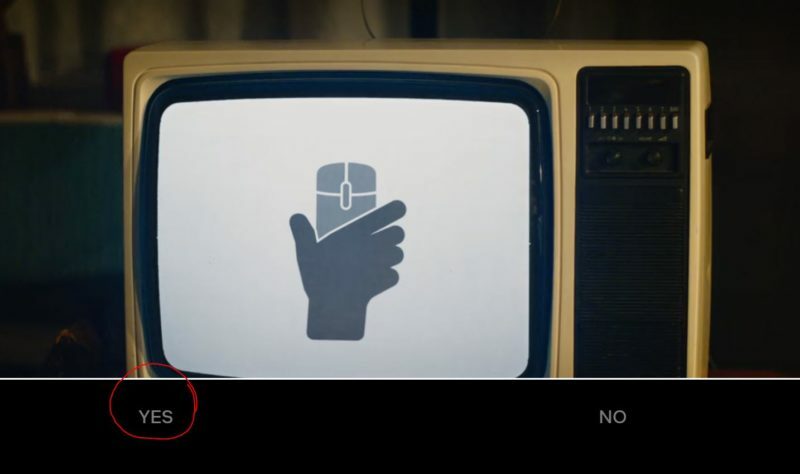 While watching, there are scenes where two choices will roll out at the bottom of the screen, somewhere in the “letterbox area” usually reserved for subtitling. Two choices will always roll out, and you can press either one to see what happens next. For fans of the “choose-your-own-adventure” books of yore, this is how technology of today amped that up: by producing a “choose-your-own-film-plot” technique. Very smart, Netflix, very smart! But what is Bandersnatch all about? Basically, it has a very simple storyline at the heart of it all. Fionn Whitehead stars as Stefan, a young man obsessed with video games, and is a game programmer himself. He idolizes tech ingenue Colin Ritman, played by Will Poulter, who is a renowned video game developer working with Tuckersoft Games. Stefan is in the midst of finishing a game he’s developing called Bandersnatch, which is an adaptation of his favorite choose-your-own-adventure book. This book, though, has a strange story attached to it, as its author Jerome F. Davies (played by Jeff Minter) was found guilty of killing his own wife while suffering forms of mental breakdown, because he says he is being controlled by unknown bigger forces out there. The film is not set in an alternative present or the near future like the TV episodes, but rather set in the past – all the way back to 1984 to be exact, when technology was not yet very “high tech,” and the internet was just an idea in someone’s head, waiting to be realized. Plus the world didn’t have Wi-Fi yet, only hi-fi. So we see young Stefan programming his game while he listens to a portable cassette player with earphones. We also see people who can’t be reached that easily due to the absence of a smartphone. Vinyl records are also for sale in stores, and the music that plays is very much what’s popular during the ‘80s. So where does the adventure part get into the picture? The first “adventure” technically starts when Stefan has to decide on how to work on finishing his Bandersnatch program. He applied at Tuckersoft, only to be given a deadline, a budget, and an optional office. If you decide to work at the office, that will lead to other scenes. If you decide to let him work from home, that will lead you to another set of scenes. Depending on what you choose, this whole Netflix adventure could end very early, or it could lead you to a very interesting rabbit hole of plot lines. Many Black Mirror fans have been trying to theorize and explain the varied endings of this film, and many have theorized about how the scene mechanisms work in dictating a story. But to see this as a plain old movie with characters and a plot, then you’ll have to step into its proposed varied layers of reality, like what was presented in the 2010 Christopher Nolan film called Inception. Remember that one? Leonardo DiCaprio had to enter the “dream state” of a person in order to exist with them there. But if you also dream anew in this dream state, it could lead you to different layers of reality – ones you can bend, and ones you can’t. But can you not, really? The difference with Inception and Bandersnatch is that we already know from the get-go that we will get the trademark Black Mirror feels in their movie. It’s inevitable that there’s a dark past: Government mind control program? Check. Traumatizing back story? Check. Bloody gory scenes? Check. Screen technology as a conduit of evil schemes? Check. They’re all there, waiting for us to discover, choose and click. But how far will you reach? Another glaring difference with reading choose-your-own-adventure books is that you already know that the story ends with that book, no matter what path you choose. Inception also gives us the same satisfaction of “neatly folding” the narratives presented to us, as we leave the cinema and the movie behind us. But Bandersnatch goes meta on us the way these books and film didn’t. 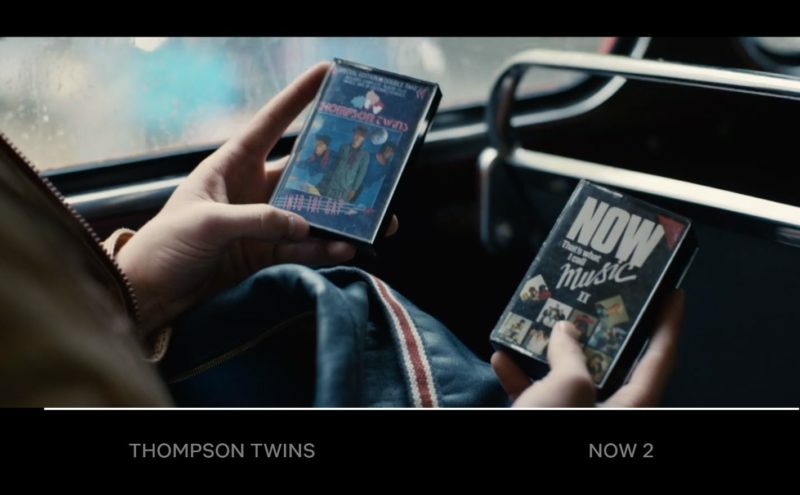 It reminded us that we’re still part of the Netflix narrative, because even if we’ve already watched Bandersnatch, Netflix is still in our lives, and we will always have access like how it has access to us (via our accounts). In this manner, by incorporating our “participation” in watching the film on Netflix within the film we are watching on Netflix, it’s like we’re trapped in that first layer of Inception reality that we can’t wake up from. Think about it. If you wake up, there’s still Netflix. If you go to sleep, there’s still Netflix. And one reality that Bandersnatch presented to us was exactly this – that the life of Stefan is not entirely up to him, because there’s an unseen force controlling his every decision via a “device from the future” called Netflix. He reveals this in the scene with his psychiatrist, the one his character sees as a result of the death of his mother when he was a child. When you’ve reached that far, there will be two options to choose from, and one of them is to explain what Netflix is to the shrink. So does this film really work? Perhaps in the very media-saturated world we’re now living in today, this kind of “meta story involvement” could work for some audience members. One could get a laugh out of how the characters would “amp up” their reality because it’s being produced “for telly in the future,” as we can see how the characters tried to serve us because they’re aware that they’re just in a TV show. At the same time, if we chose to reveal that these characters are indeed just part of our own entertainment, we will be sealing the protagonist Stefan’s fate as a “psychiatric basket case” because he’s speaking of things that haven’t happened yet. And it will bury him more if we chose the violent choices he has to “make” (because we clicked on them) since he will be solidly convinced that he’s acting against his own will, and just following ours. But for some audience members who value solid storytelling more, this Netflix and Black Mirror gimmick of letting people choose their own plot lines could appear merely as such – a gimmick, nothing more and nothing less. Perhaps the most important question to think about here is: Did the gimmick work for the kind of story it was telling? Black Mirror gained so much popularity and cult following because it presented us with very intriguing narratives that could probably happen with humanity and technology. Yet no matter how disturbing those narratives are, we remain distanced from them, technically and physically speaking. It didn’t need gimmicks to sell an idea – it just had to sell us a very plausible idea, and create a world where we could be led to believe that this idea might happen anytime soon. That’s the success of Black Mirror that, sadly, wasn’t fully realized in their movie. As for Bandersnatch, it took away that one thing that made cinema-viewing ever-enjoyable to many people out there for centuries: the suspension of disbelief. Fans of “breaking the fourth wall” device in theater and film productions may be enjoying this meta-discourse on “watching-a-film-on-Netflix-while-the-film-you’re-watching-on-Netflix-discusses-you-watching-a-film-on-Netflix” scheme. But remove this technical gimmickry and what do you get? It’s basically a story of how a game programmer descends into madness as he gets entrapped in the paranoia that entrapped the book author before him. Sure, it had the trademark Black Mirror ingredients alright, but the cooking part and the serving part somehow failed in delivering us a finely-prepared Black Mirror-esque film. Oh well, maybe we should just go back and try again. Repeat to fade – or until the last option runs out. This review was written by Olivia Cantor. Fullmetal Alchemist (Live Action) Review – Worth Watching On Netflix?